When life gives you lemon, make some lemonade. One of the things I resolved to do this year is to be more optimistic in life. To learn to get rid off this negative attitude I always have and appreciate even the simplest beauty of life. It’s been a rough year and I need a handful of this to get through. But sometimes no matter how much we try to keep afloat we still find ourselves juggling between sulking and giving up or smiling and holding on. Afterall, life is all about these, a big adventure. Just today, I finally had the courage to look at all the photographs that pinches me in the heart and tried finding beauty in them and reminiscing only the happy thoughts. I think it is already a good start. And when I feel and blue I reach out to my comfort drink Kalamansi Juice. 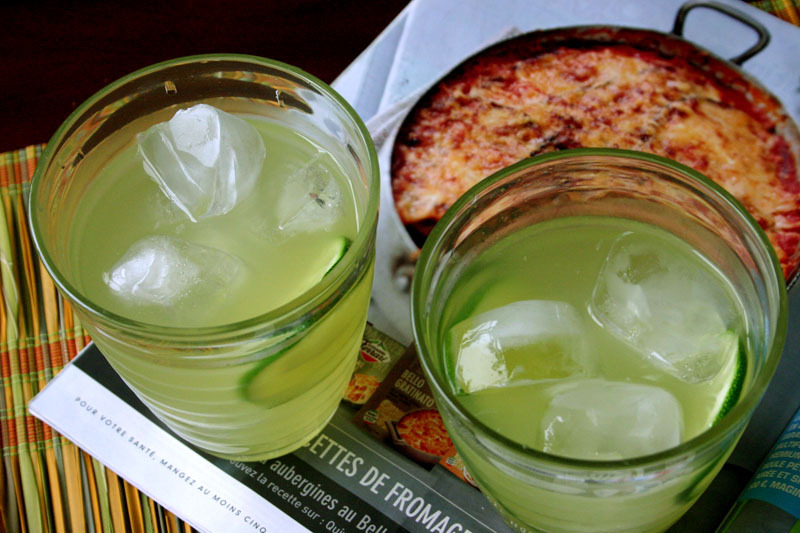 This Lemonade is a very comforting drink you can enjoy both hot or cold. Kalamansi or Calamondin is the hybrid of Mandarin orange and Kumquat , extensively used in Philippine cuisine and South East Asian countries. They are of the same family as oranges so their white flowers are also as fragrant. When buying choose the one that are bright and green and firm to the touch. You can use them as replacement for lemon or lime. I’m sharing this recipe to this week’s Weekend Herb Blogging #343 an event created by Kalyn and now under the caring wings of Haalo of Cook Almost Anything. This week’s host is Cleare from Il Pomodoro Rosso. If you are making them during summer, prepare this drink with lots of crushed iced. If its during colder season you will have to boil the water. Firstly, squeeze the juice from the kalamansi one by one. Cut them horizontally and squeeze the juice out. Use a strainer to get rid off the seeds. Dilute the sugar and ginger powder in water and mix the kalamansi juice and honey. This is what I miss, calamansi ! It really has a different taste, acid & sweet at the same time. Do you know if I can buy calamansi seed to plant in Europe ?? ?